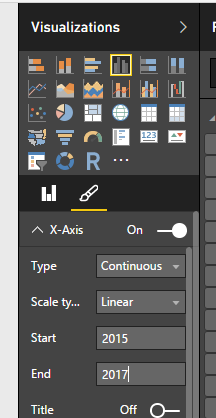 So yesterday I was playing with PowerBI and I hit a problem. 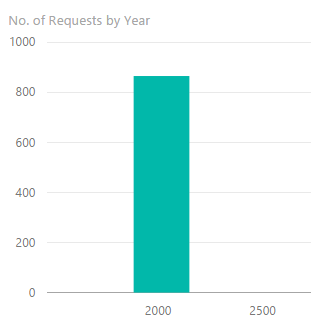 As you can see, the x-axis is wrong. For some reason it wasn’t creating the correct range. 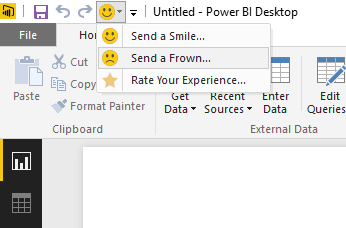 After a little while I thought I’d try out Microsoft’s feedback option – the smiley faces – in the top menu you have a smiley face. Click it, then you can send feedback. 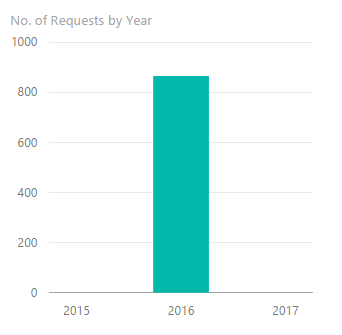 Sure enough after a little while, Justin Schneider from the Power BI team replied asking a few more questions – basically asking me to check the data was correct, which was in this case and even offered a solution. The problem was the auto options for the X-Axis range was wrong and he recommended setting it manually.